Hi there, my darlings! 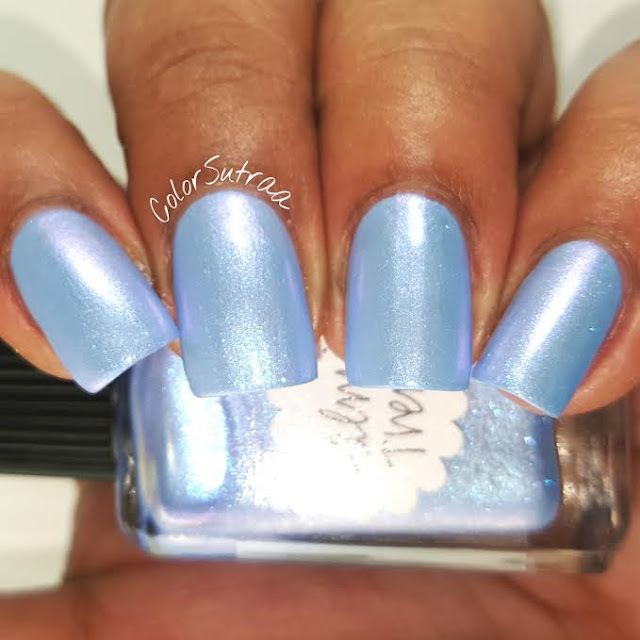 Have you ever looked at a polish and even without putting it on loved it instantly? Polish Love At First Sight. if you will? Well that's how I feel about this week's featured limited edition Lynnderella--Calming Trend has absolutely won my heart and can be procured through an Ebay auction. Calming Trend is a "translucent periwinkle with a lavender glow and lavender-blue shimmer." Smooth, velvety formula and application--this applied like an absolute dream. 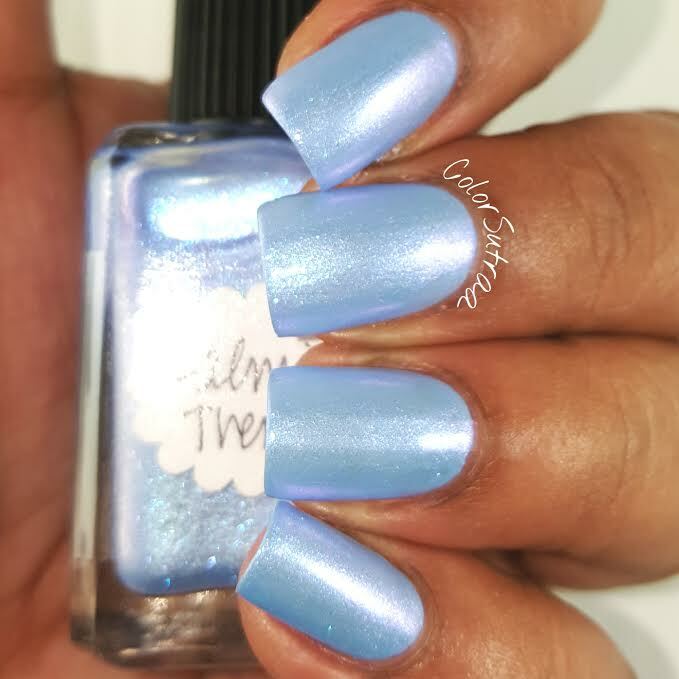 The swatches below show 2 thin, thin coats over Sally Hansen Smooth Sailing topped with 1 generous coat of Glisten & Glow's HK Girl. My photos do this absolutely NO justice--this baby is even more insanely beautiful in person! 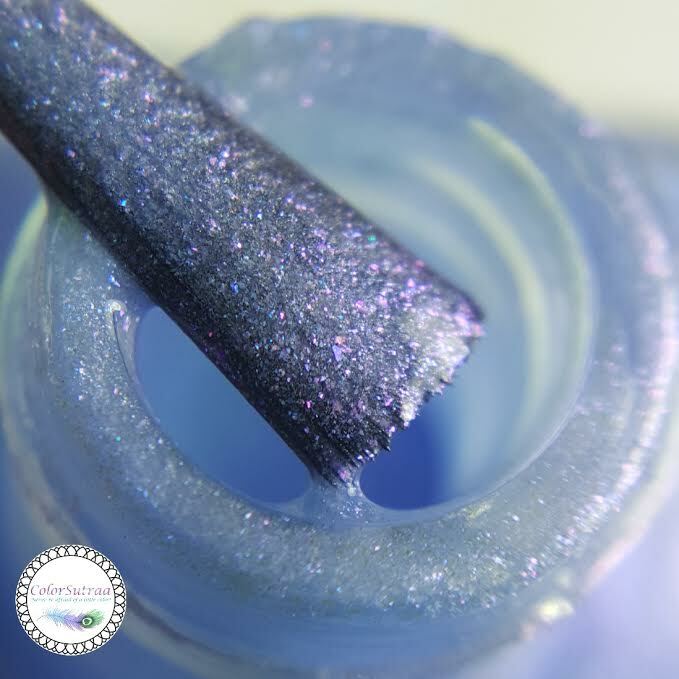 Almost a duochrome, the shimmer is so strong! I cannot tell you how much I love this one--one of my all-time fave Lynns!